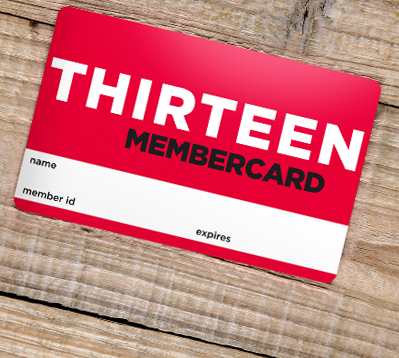 Give someone you care about a THIRTEEN Gift Membership. Your tax-deductible donation supports our programs, plus provides a loved one with exclusive Member benefits including unlimited access to THIRTEEN Passport featuring hundreds of hours of THIRTEEN programs and entire new seasons of programming, all available to stream on-demand. Access to THIRTEEN Passport on demand library of public television programming. Learn more about THIRTEEN Passport. A monthly print program guide mailed to their home. Membercard discounts at over 80 museums and theaters around the region. Invitations to special events, station tours, and screenings.